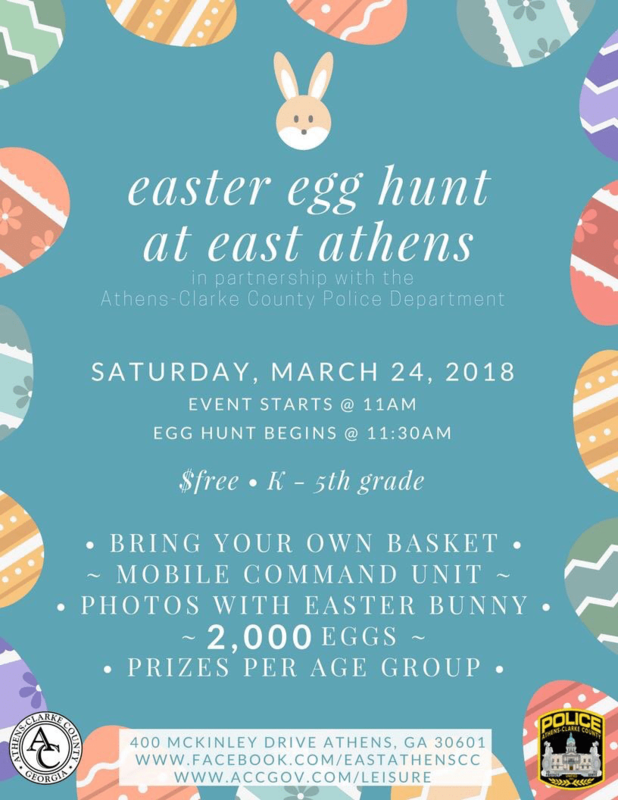 Bring a basket and hop on down to the Easter Egg Hunt at East Athens this Saturday. Children can start searching for the 2,000 eggs at 11:30AM. They will also have the chance to get their picture taken with the Easter Bunny.